Your Gift Recipient Gets Immediate Access to the Award-Winning App! 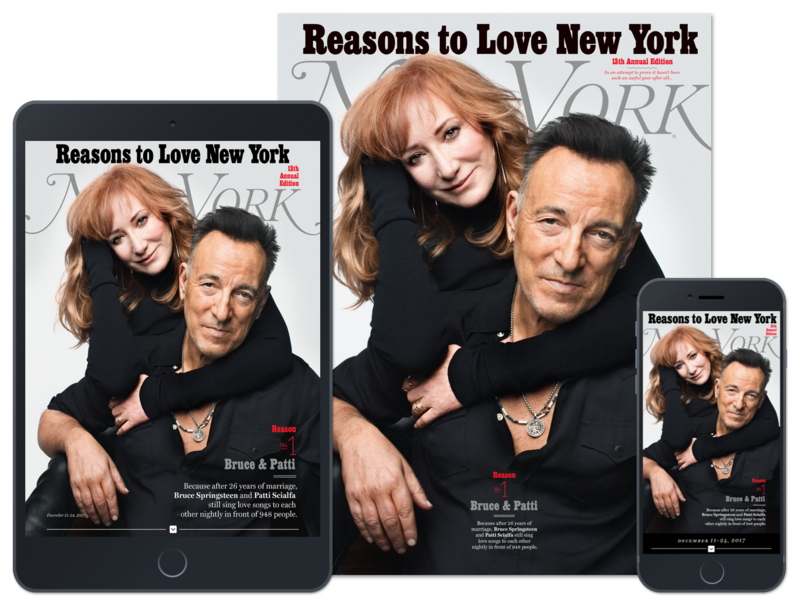 Includes 26 issues of New York in print and on iPad, iPhone, or Android device. City *Field is required. Please enter no more than 20 characters without special characters. Zip code *Field is required. 5 digits allowed. Email address *Please enter a valid email address. Send me the Daily Intelligencer newsletter, required reading for political compulsives. Sign me up for Vulture's weekday newsletter to get entertainment coverage for the culturally obsessed. Gift recipients should receive their first copy of New York Magazine in 4-6 weeks. However, please let your recipient know digital access is available immediately by downloading the app on iTunes or Google Play. Instructions to link the subscription to the app will be provided in-app. If you do not receive an order confirmation email in the next hours, first check your spam folder and then contact customer service.